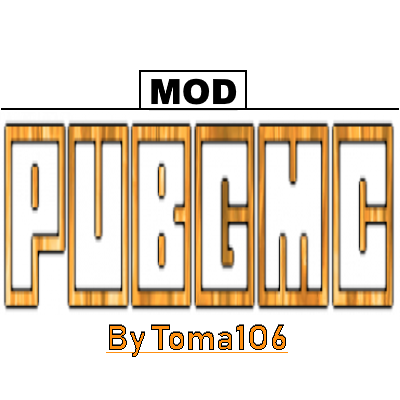 This mod has been inspired by popular battle royale game - PUBG. 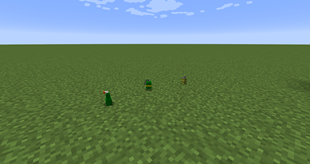 In this mod I will try to remake the game into Minecraft. - This is the range for the number you can fill into field. This number must be 0,1 or 2! Loot doesn't generate by itself, you have to run /loot generate command. Loot will be generated ONLY INSIDE LOADED loot spawners! 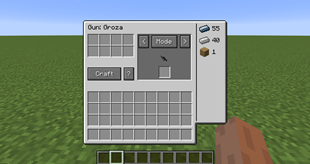 If you have just started a new world you might want to run /loot reset in order to prepare default loot configuration! How can I modify the loot generation? - /loot set [help, toggleAirdropWeapons, toggleAmmoLoot, toggleRandomAmmoCount, weapon, chance]. Explaining everything here would take a lot of time, so I suggest you trying the /loot command and cycling throught options using the TAB key on your keyboard. - Not all weapons can take all attachments! Grab attachments you want to add to your weapon and put them into right slots. Be careful because you might lose attachments which are already on weapon when you add another attachment into it's slot. Make sure to always remove them from the gun first. - Regular airdrop - called from /airdrop command. Loot is automatically generated when the airdrop lands unless you turn this feature off in the config. 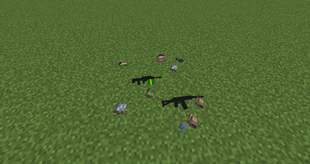 Airdrops always contain top level armor and backpack + rare and powerful weapon + rare attachments and healing items. Grenades won't deal damage to players when you're playing in PEACEFUL mode! 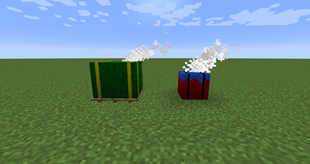 - Smoke Grenade - provides temporary cover. Water will extinguish the effect! - Molotov - Molotovs explode on impact with ground and they will put everything on fire for short period of time. Players are also getting extra damage when they stand inside the fire! While you have boost active you will get 0.5 heart every x seconds. To use healing item, you have to hold right mouse button and wait until you consume the healing item. You won't be able to move much while healing. 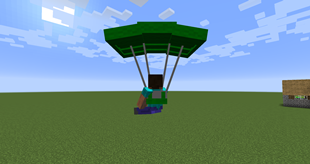 In this mod you can find parachutes. You have to right click the parachute in order to open it. Controls are simple. Look into the direction you want to go. To drop down as fast as possible you have to look down under 40 degree angle to gain additional speed boost. Mod should be working in multiplayer so invite your friends for even more fun. You can now do battles with each other and see who is the best survivor. Twitter for some info about updates. Most images has been taken from my map which is in my modpack. What exactly do you mean by team? If it's like adding the solo/duo/squad style, it won't happen anytime soon. It would take a lot of time to implement (I think), and there's already one instance of team creating provided by Mojang's /scoreboard system. Are the guns in 3d yet? 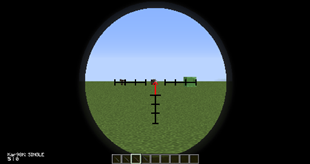 Are they sorta similar to Vic's modern warfare? Yes, they have 3D models in the latest update. 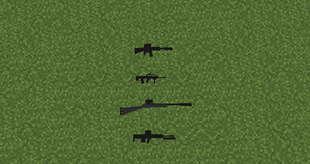 I'm not sure in which way they should be similar, but I implemented ADS mode and attachments are being rendered on the weapon too. The only thing I'm still missing are animations, which are a bit harder to do. For the backpacks I created simple system which should keep the game as much balanced, as possible. You need to have the "Inventory Limit" option enable for this in config. The current system works this way: In survival/adventure mode you only have available your hotbar slots. In order to unlock more slots you have to pick backpack which you want and right click it. It will unlock more slots based on the backpack level.